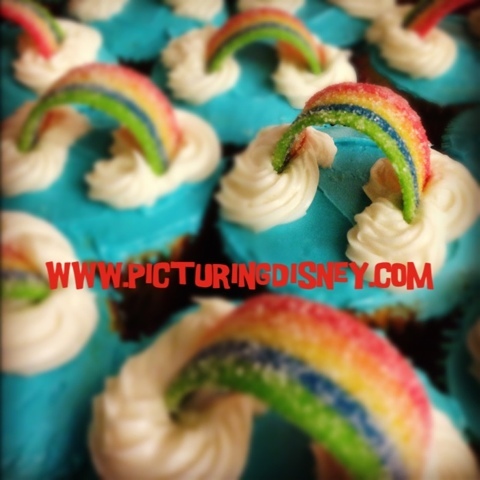 Picturing Disney: Muppet Rainbow Connection Cupcakes! As soon as I saw these cupcakes on Pinterest I knew I had to make them! They are so easy that Animal could bake them. Decorating them is oodles of fun. 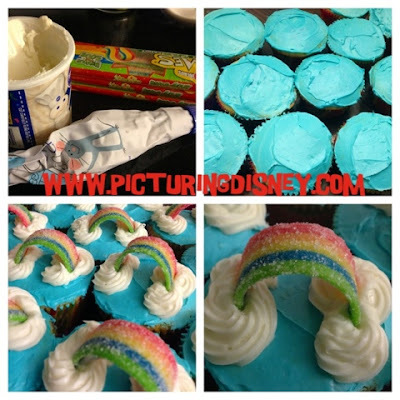 Split the frosting in half and color one half blue. Pipe an "8" in white frosting on both the left and right sides of cupake. Fill in the circles so that your 8's now look like to mini, fluffy white clouds. All of us under its spell, it must be some kind of magic..."